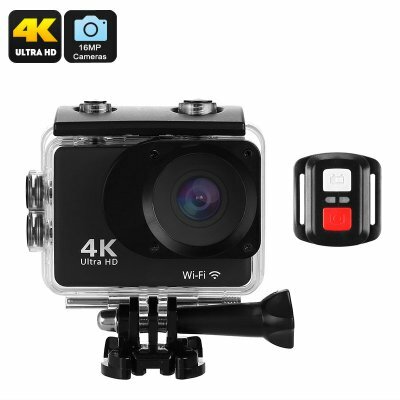 Successfully Added K2T Sports Action Camera - 4K Video, 150-Degree Lens, 2-Inch Display, 16MP Sensor, WiFi, App Support, IP68 to your Shopping Cart. For all outdoor lovers and extreme sports lovers out there, the K2T sports action camera offers all the means necessary to capture your upcoming adventures in stunning resolution. With its 16MP sensor and 150-degree lens, this action camera allows you to shoot breathtaking video in 4K resolution. Additionally, you’ll be able to snap 16MP pictures anywhere you go. Your 4K action camera comes with an IP68 waterproof case. This little accessory fully protects your camera against water, dust, and bumps. Thanks to this, you’ll be able to take it along anywhere you go without needing to worry about accidentally damaging your device. A powerful 900mAh battery brings along a whopping 80 minutes of continuous usage time. The camera itself features different recording modes to meet all your personal demands. Additionally, it supports automatic white-balance to make sure that your recordings are always of the highest quality no matter the weather conditions. On the 2-Inch display at the rear of this sports action camera, you’ll be able to watch back previous recordings instantly no matter where you’re at. The K2T sports action camera supports WiFi connectivity. This allows you to instantly and wirelessly share previous recordings onto your smartphone. Along with the dedicated mobile application, you’ll be able to watch back and easily share your pictures and video’s with all your loved ones back home. For extra usability, your 4K action camera comes with a remote control that lets you shoot great pictures of yourself or a group of friends. 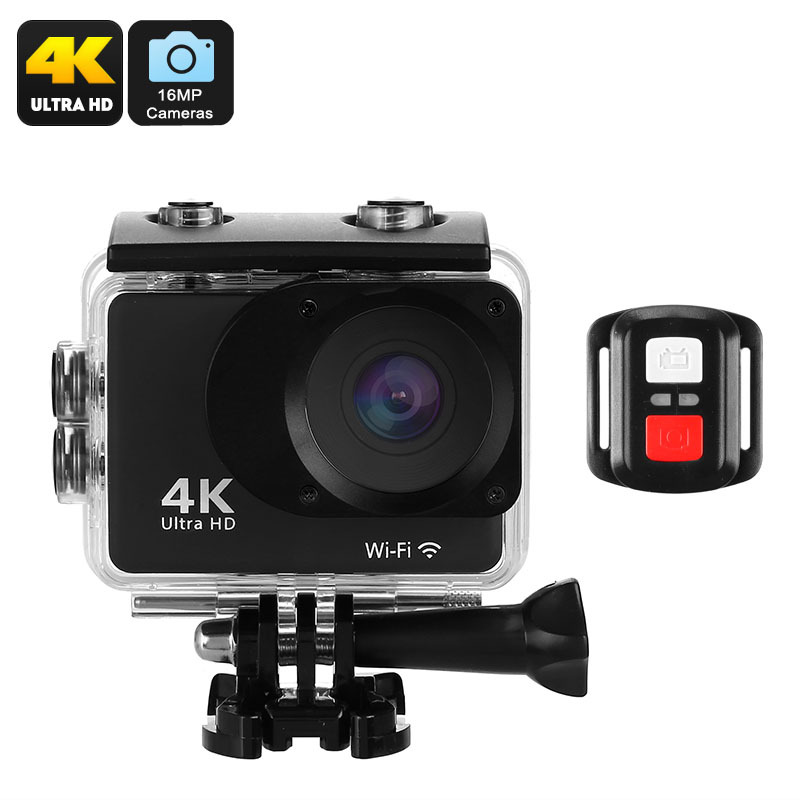 This 4K sports action camera comes with a 12 months warranty, brought to you by the leader in electronic devices as well as wholesale electronic gadgets..